These cards have an easy reset when the center free space is opened all of the closed windows are opened at the same time. 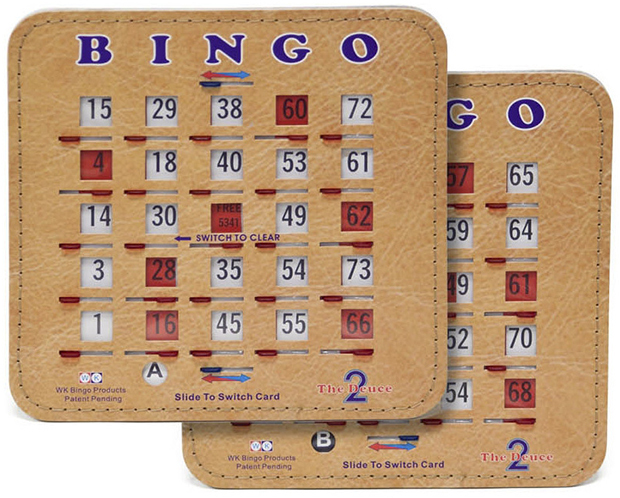 These ultra durable cards have the outer edge stitched and are a heavy 5 ply construction. The biggest advantage of these cards is having 2 games in 1. Move the slider from A to B to get another set of numbers. Great for business trips, school events, company picnics, family reunions, or other places where you don't want to mess with chips or daubers. 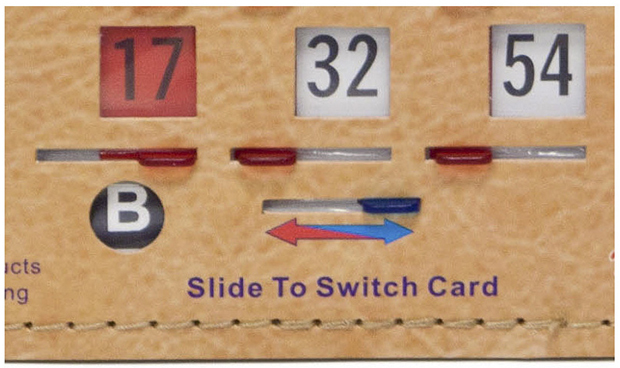 2 different numbered games can be played on this shutter card A or B. Each Card Measures 6.75 x 7.5 inches. Numbers are 1/2 inch high.